Checking Facebook notifications from your watch just got a lot more stylish. 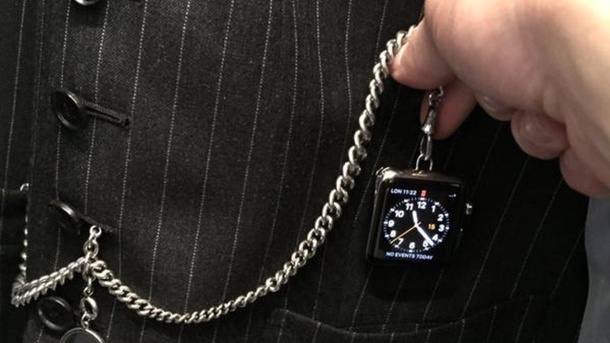 Fashion designer Tom Ford has invented an accessory that transforms the Apple Watch into a pocket watch. Rather than wearing the Watch on the wrist, the designer has attached it to the pocket of a waistcoat using a chain. It will be interesting to see if the designer can bring this bygone accessory back in the age of digital wearables.